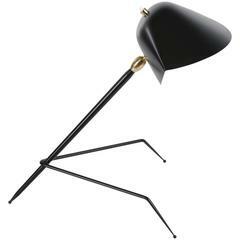 The wonderful emblematic look-a-like ant lamp by Serge Mouille. 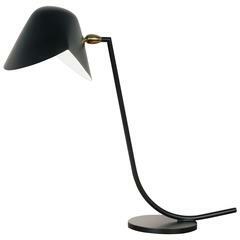 A Serge Mouille desk lamp model "Cocotte" in black or white. 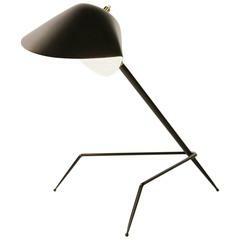 Licensed edition from Serge Mouille’s original design In 1957 Mouille release a variation of the Saturn sconce but as a desk lamp. Designed for the student of University Antony in Paris. 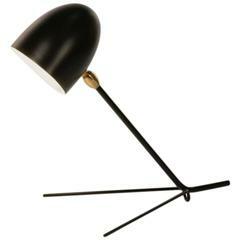 Serge Mouille, 1958, clamp Lamp with two ball and socket joints. 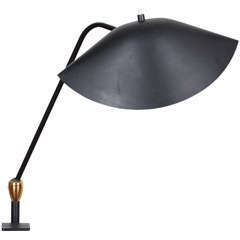 Sculpted and painted metal with bronze hardware.